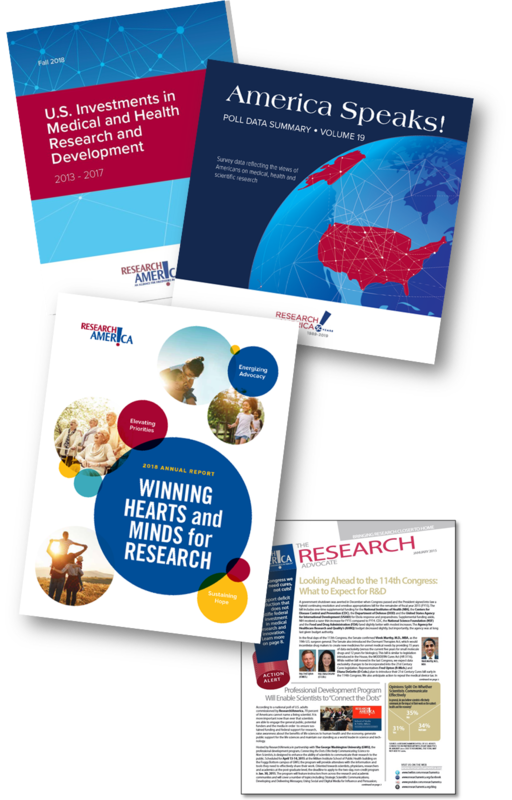 Each year, Research!America publishes America Speaks, a summary of our most recent poll data. We highlight trends and feature quotes from decision-makers. Use America Speaks as a resource when contacting your elected officials, writing letters to the editor, op-eds or articles, giving speeches, and advocating for research to improve health. America Speaks: Poll Data Summary, Volume 19 is our latest release. Research!America's annual report is a look back at our accomplishments of the previous year, released at our annual meeting each March. Read our 2018 report.